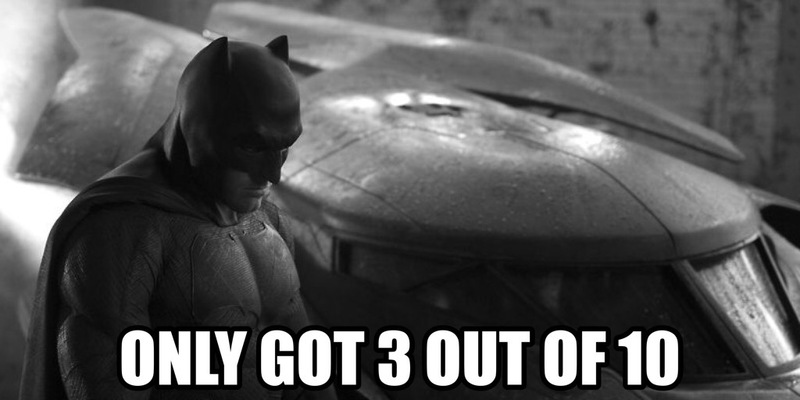 The discussion around Batman v Superman will likely continue…well, forever. After our initial ratings Prime Blogger Tom felt the need to defend his generous grade of the movie. I thought he did a good job explaining his rationale so I thought I would return the favor by defending my own rating the movie a 3 out of 10. Jump after the break for my full reasoning.